I’ll be the first to admit that I have a soft spot for sporty hatchbacks. 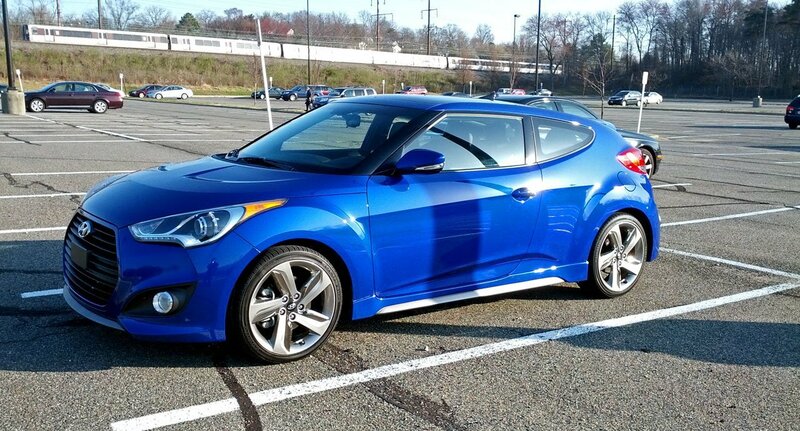 When Hyundai announced the original Veloster, I was immediately intrigued. The final product, however, was underwhelming. A competent car, for sure, it was ultimately no more impressive than Kia’s run-of-the-mill Rio. So when Hyundai confirmed that we’d be getting a hot version of their quirky subcompact, I was more hesitant to get my hopes up. I wasn’t so sure that a turbocharger and bigger wheels could solve the Veloster’s performance problems. As it turns out, I was right. To be fair to Hyundai, this is more than just a Veloster with a turbo kit and some Pilot Super Sports wrapped to bigger wheels. But to be fair to you, the reader, it’s not much more than that either. Yes, the suspension has been re-jiggered for a sporting ride, but aside from the extra grip and power, the Veloster Turbo’s character is largely the same as that of the base car’s, and therein lie its shortcomings. Let’s start with what they got right. The 1.6L engine is punchy. 201 horsepower is enough, though not what I’d describe as overkill. It’s not going to impress the Focus ST or Mazdaspeed3 drivers in the audience, but it’s appropriate for the class (look no further than the new Fiesta ST for comparison). 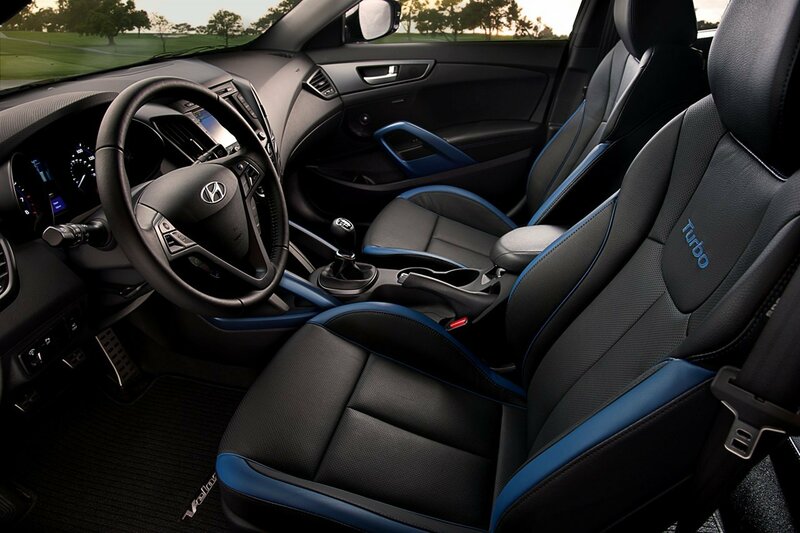 The seats, which carry over from the regular Veloster with slight revisions (and “TURBO” embroidered in the seatbacks), are also excellent. They’re attractive, reasonably trimmed and supportive, much like the seats in the also-underwhelming Lexus CT hybrid. Putting that power to the ground in our test example is a set of 18” Turbo-specific wheels wrapped in perhaps the most out-of-place optional upgrade in this segment—a set of Michelin Pilot Super Sports in 215/40R-18. Yep, the second-most expensive option on our loaner’s Monroney is a $1200 set of super-high performance summer tires. 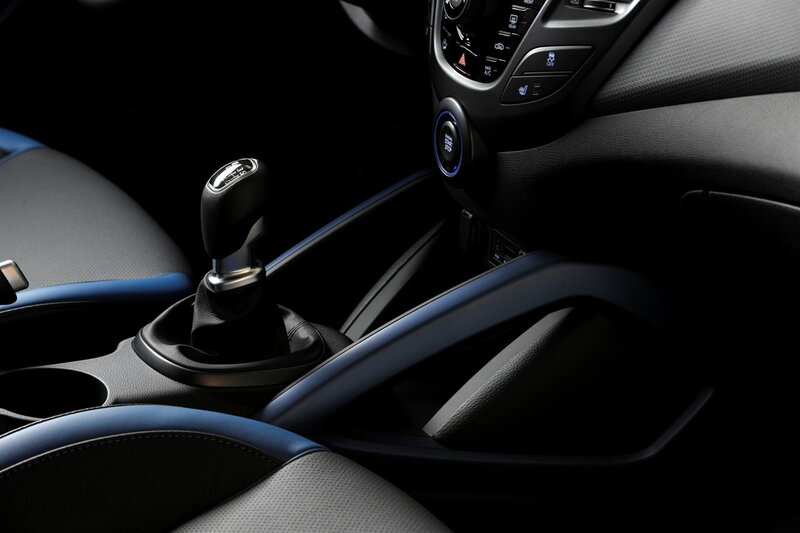 If you’ve been reading reviews that include instrumented testing of the Veloster and came away impressed with the roadholding ability of the revised suspension, you may want to peruse the as-tested specs again. Odds are that impressive skidpad result was obtained with a little help from our favorite fluffy mascot. So, what did they get wrong? In short, just about everything else. I hate to bag so hard on Hyundai’s first shot at a hot hatchback, but given the long-standing models they could have benchmarked, it’s hard to understand why they fell so far short of the other excellent cars that share this basic format. The weakest points—the steering and the chassis—are usually the components of the sport compact formula that redeem otherwise underwhelming cars. Look no further than Honda’s Civic Si for an excellent example. The Veloster Turbo doesn’t deliver on either. The ride is busy, and the big wheels and aggressive tires try to communicate with the driver through the dulled connections provided by the indifferent suspension. There’s no precision in the steering and only slightly more feedback. It feels completely artificial, and it’s thoroughly unsatisfying to push. And while the Veloster may be powerful enough to get out of its own way, it’s still inexplicably heavy. At 2,900lbs, it’s 200lbs heavier than the aforementioned Ford, and in the same ballpark as the larger, IRS-platform cars an entire size class up. This makes the Hyundai an odd sort of ‘tweener, and in many ways, it’s the worst of both worlds: the compromised suspension packaging of a subcompact paired with the weight of a larger car. It’s a formula that they just haven’t mastered. All of this would be more forgivable if Hyundai didn’t have the excellent Genesis Coupe sitting ten feet away in the same showroom. A well-equipped Veloster Turbo will run you roughly 25-large if you want the Michelins. That will get you into the turbocharged Genesis (base or R-Spec, pick your poison), which is, to be frank, a superior car in every objective and subjective way. Buy that now; thank me later. 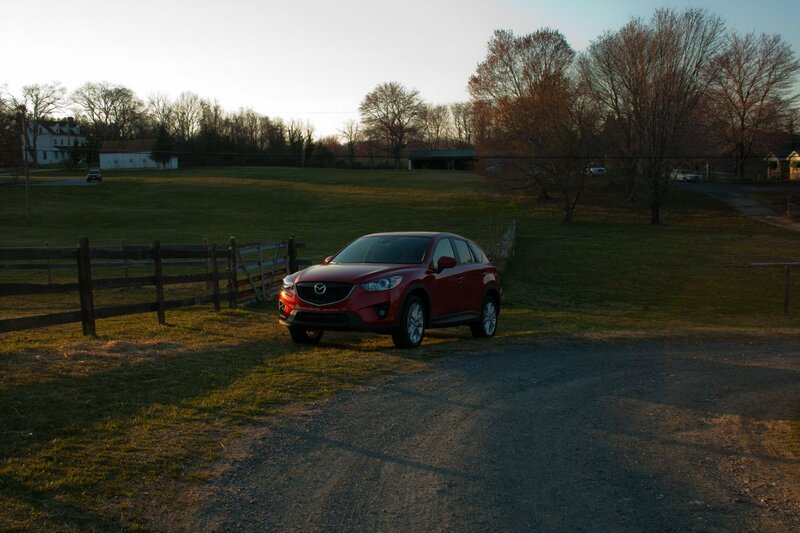 When I first drove the 2013 CX-5 last year, I found it pleasant if a bit underpowered. That should come as no surprise. The original two-liter SKYACTIV gas engine was only good for 155hp and similar torque numbers. For 2014, Mazda has added a 2.5-liter SKY engine as an upgrade on the Touring and Grand Touring trims. At 184hp and 185lb-ft of Torque, this new mill makes the CX-5 power-competitive with the other non-turbocharged offerings within the class. It’s still not the clear leader in sheer grunt, but it brings enough hustle to keep it in the running in a class topped off by 250-horsepower Escapes and Sportages. I’ve dedicated a lot of thought (and blog space) to Kia and Hyundai over the last couple of years. It occurred to me while retrieving those stories that it’s unusual for me to cover a single Korean vehicle in a review—a failing that I intend to make up for. This is not the first time I’ve driven a Sorento, but it is the first time I’ve dedicated a review to it, and that’s not really fair. For one thing, the Sorento is a good car, easily as good as the Journey that I referred to in my Genesis Coupe story above. 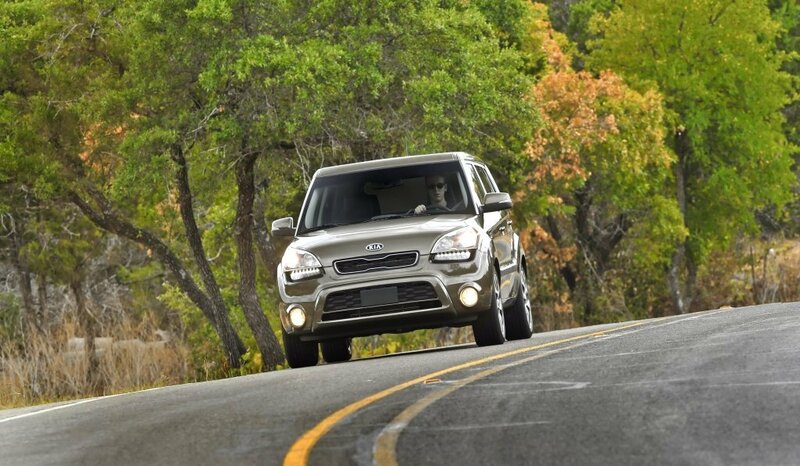 But more than that, driving a Sorento convinced me that Kia was the real deal. When John attended the Kia Soul media drive a year ago, he had mostly good things to say about Kia’s refreshed Scion alternative. John’s first drive was actually the third time somebody has written about the Soul for Speed:Sport:Life, and today, after driving a 2012 Soul+ for a week, we mark the fourth. You can find Zerin’s piece on the 2010 here, Cherise’s second look here, and John’s first drive of the refreshed lineup here. John’s piece contains technical information about the new engine offering in our Soul+ tester, so if you’d like to know more about Kia’s two-liter engine (or the rest of their new powertrain lineup), that should be your first stop. In early August, Speed:Sport:Life teamed up with Effort Racing and MSR Houston to pit seven performance monsters against each other in the ultimate track day shoot-out. We’ll have those results for you soon, but in the meantime, we’d like to share some highlights of our weekend with a couple of American monsters. This week, we’re featuring the 2013 Ford Shelby GT500. Photos by Zerin Dube. Station wagons ruled the ’70s and ’80s, but the ’90s brought a paradigm shift in automotive purchasing. Station wagons quickly became associated with old folks, while car buyers flocked to the taller and flashier xUVs that brought with them an image of youthfulness and adventure. The station wagon was out and the xUV was in. There are CUVs, SUVs, XUVs, you name it. Stick a word in front of “utility vehicle” and you have the core of your new marketing message locked down. Unfortunately, none of these describe what should be considered the most practical utility vehicle of all, the classic station wagon. The clean lines, the squared-off rear, the ample utility–yes, vans and xUVs get close to fitting the bill, but don’t capture the nostalgia and personality one gets from a station wagon. Against all odds, there are still a few manufacturers that believe people will buy wagons and have taken the risk of bringing them to the U.S. market. At current count, there are fewer than ten manufacturers with proper station wagons for sale in the United States. 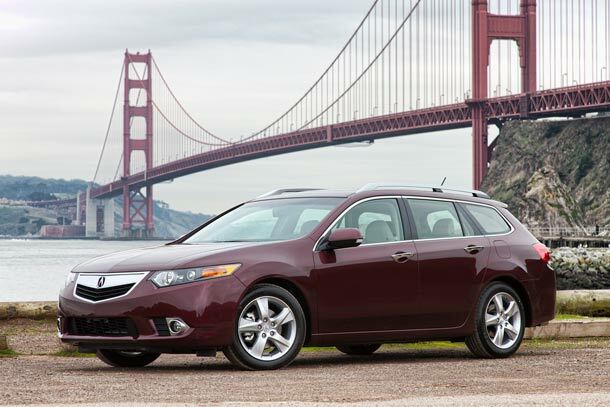 One such manufacturer who took the gamble is Acura, introducing their TSX Sport Wagon to the U.S. market for the 2011 model year.